This Mother's Day, as millions of children, from babies to adults, share brunches and dinners and breakfasts in bed with their moms, Sandy White Hawk will be remembering the mother she was taken away from when she was 18 months old and never saw again. Through her annual Welcome Home event, she hopes to give other Native American mothers and children an opportunity to reunite after a lifetime of separation. By the mid 1970s, between 25% and 35% of all Native children were living away from their homes and tribes: in non-Native (white) foster and adoptive homes, and mandatory boarding schools. This shockingly high percentage reflects deliberate government policies to assimilate Native children into white culture, including the Indian Adoption project. "For my family and all of the families impacted, the pain and the sadness surrounding what happened is every day. But especially on special days and times we gather, like Mother's Day and other holidays, we carry that pain of separation," says Sandy. The Welcome Home event begins today at the Shooting Star Casino in Mahnomen, Minnesota. "We will use ceremony and song--everything about who we are--to acknowledge the pain that happened and begin to heal the collective wound." "It is possible families will be reunited during Welcome Home," she adds. For Sandy, the reunion with her mother never came. When she finally went home to Rosebud, South Dakota, in 1988, her mother had died two years earlier. "I had to get to know her through her siblings," she says. Sandy was one of nine children in her Sicangu Lakota family, and all but one were removed from their home and fostered or "adopted out." "You can't imagine the significance of having children taken from families--how that impacted families in the past, and how it is still impacting families," she says. Sandy was adopted by white missionaries who believed they were doing her a favor removing her from--as they told her repeatedly as a child--her pagan, poor, "good for nothing Indian" family. "My self-concept was so negative. I felt so ugly and unwanted and lonely. I did not have an Indian face to reflect my image," she recalls. Lessons about early American history teach children about how our pioneer ancestors were driven by a sense of Manifest Destiny. How these colonizers displaced and nearly wiped out Native American people is often disavowed or obscured, and there is no mention that this history is present in our own lifetime. Sandy is a middle aged woman, and a victim of a more subtle and pervasive form of racism that persists. Nationwide, even today, Native American children are 2.4 times more likely to enter foster care than other children. How did this happen? Why does it keep happening? These were the questions the Maine Wabanaki-State Child Welfare Truth & Reconciliation Commission (TRC) sought to answer. This historic commission is the first of its kind in America: It is the only time Native and non-Native people have come together to investigate systemic abuses in the child welfare system and the factors that contributed to them. 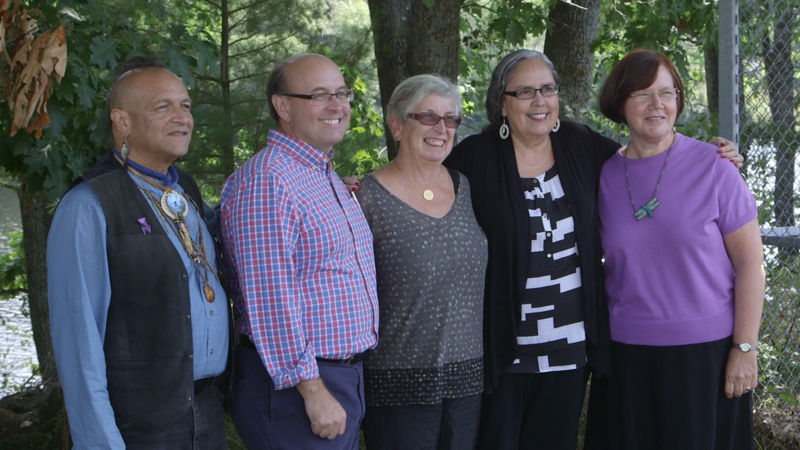 TRC Commissioners at Indian Island, Maine in September 2014. Sandy White Hawk is 2nd from right. In 2013 the TRC seated five commissioners charged with hearing, recording and processing what happened from 1978 to 2012 between the Maine child welfare system and the state's indigenous peoples (the Wabanaki Confederacy: Passmaquoddy, Penobscot, Maliseet, and Micmac). For two and half years, they listened to and recorded painful stories, of children raised in ways that made them ashamed of who they were, of mothers who lost children, of fathers who had to stand by, emasculated, as their children were driven away, and of child welfare workers who look back now with a complicated tangle of guilt and regret. The 1978 Indian Child Welfare Act (ICWA) is called an "atonement" requiring child welfare workers to place Native children (removed from unfit homes) with family or fellow tribal members, if at all possible. But ICWA was a failure. There was no enforcement mechanism - or funding - to make sure it was followed, and no penalty for not following it. The goal of the commission was two-fold: To understand why this happened so that child welfare practices can be changed; and to give people a chance to tell their stories and begin healing. Sandy was one of the commissioners. "I was nominated to be a commissioner because they wanted one commissioner to be from out of state--someone who could come to Maine and look at it with fresh eyes that wouldn't know any background." But of course, Sandy does know the background. She lived it. "When it's collective trauma, we need to experience a collective healing," she says. "The community has to be ready to open the wound," she says. "And having opened that wound, there have to be some assurance that good will come from it--that decisions will be made as a result of opening the wound." In June 2015, the TRC made its final recommendations about the best ways to protect children and families. "They are what we as Indian people have known all along," Sandy says. 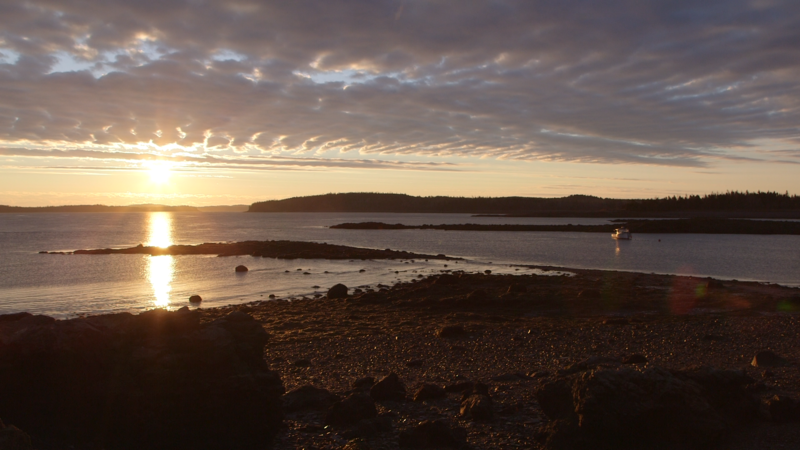 "The beautiful part for me was that Maine tribes came forward to relive very painful truths, knowing--trusting, really--that their testimony would be used to educate those who work with and for Native families. And would be used to demonstrate to the state of Maine, yes, this is what happened in your state." This story of truth-telling is documented in the upcoming feature film "Dawnland," a documentary produced by the Upstander Project that goes behind the closed doors of the TRC process. It follows Sandy and her fellow commissioners as they criss-cross Maine, listening to testimony from anyone who interacted with the child welfare system, from adoptees and parents to attorneys and non-Native social workers. "We think it's important to spotlight a very, very pernicious practice engineered by the State which is the removal of Indian children, placing them largely in non-native homes of mostly white families and essentially cutting them off from their culture," says "Dawnland" producer and Dartmouth College professor N. Bruce Duthu, a member of the Houma Nation. "We're making Dawnland to reinforce that the problem of indigenous child removal is a contemporary crisis facing Native people right now," says co-director and producer Adam Mazo whose previous film, "Coexist," examined the forced reconciliation process following the Rwandan genocide. "This is an opportunity to examine our own troubled history," he says. 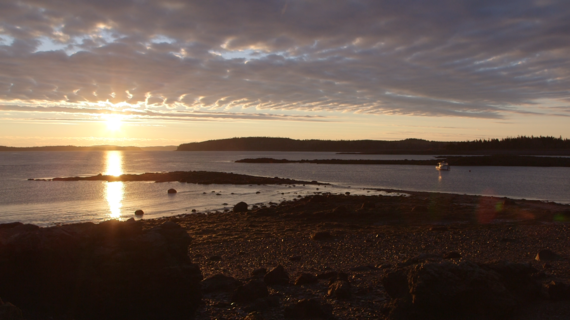 Wabanaki means people of the dawn land and the land they live in (now called Maine) is known as the dawn land. In the commission's final report, Sandy and her fellow commissioners found that institutional racism in state systems, inadequate training, and resistance to tribal sovereignty contribute to a child welfare system that still needs improvement. This state-sanctioned body went even further to say, "It is hard to fathom for many in Maine that genocide occurred here, much less that it continues to occur in a cultural form." 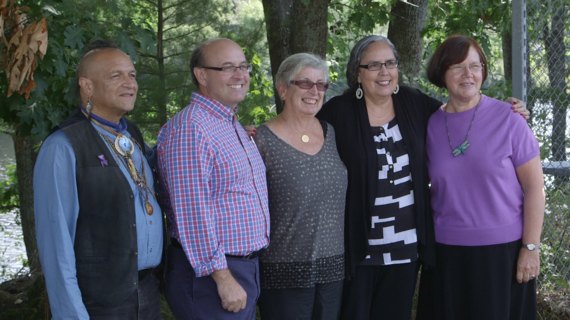 In the year since the TRC commission's report, the cross-cultural collaborative Maine-Wabanaki REACH has been carrying out its recommendations. Hundreds of people--non-Native allies, child welfare workers and teachers--have been trained to understand what's happened and to help keep it from happening again. "First Light," a short film prequel to "Dawnland," is part of the training. "This gives people an opportunity to see and hear the stories directly from the people who have been silenced for so long," says filmmaker Ben Pender-Cudlip. "What took place in Maine was the truth telling," Sandy says. "Now people are going to be listening to it. There are many allies now who are part of the process and making a commitment to be part of the solution... People are changed." For Sandy, motherhood is expansive, and there is a strength she finds in nurturing not only her own children, but also her community. As she begins to welcome home Native adoptees today, she can imagine her ancestors - her mother - smiling. "I really believe what happened in Maine is an answer to the prayers of our ancestors," Sandy says. "And it makes sense that it happened there first, because we know in anything we do as a people, everything begins in the east. That the Maine tribes were the first to step up and do this is incredible. I believe it will stretch across the country, and there will be more healing in our community."